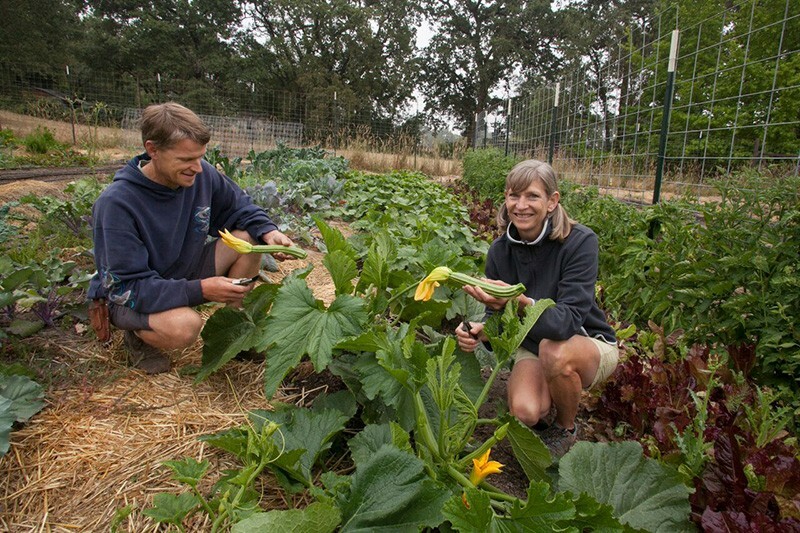 Wouldn't it be great if Google or Facebook moved to Sonoma County? Well, yes and no. It would certainly create a lot of jobs, but the impact on housing prices and traffic wouldn't be great. Anyway, such a move isn't likely to happen, and I say that's just as well. Folks move to or choose to remain in the North Bay because of the quality of life, open spaces and the slower pace. Silicon Valley's crushing traffic, Gold Rush–style development and stratospherically high cost of housing are not things we aspire to. In fact, many bail on Silicon Valley and San Francisco for those reasons, present company included. But we still need jobs and economic development. Increasingly, that's coming from small-scale makers, farmers and artisans, not big corporations. Small and home-based businesses are part of the North Bay experience. 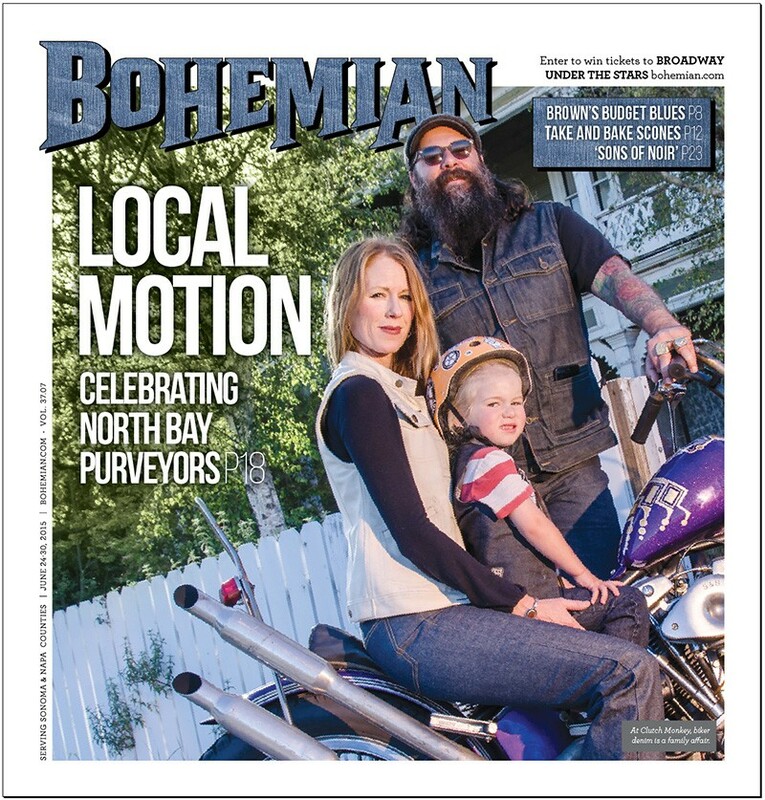 Local purveyors are part of what gives the North Bay its look and feel. And while they don't have the economic might of a Google, local businesses create local jobs, reduce reliance on carbon-intensive imports, keep dollars circulating locally and contribute to the North Bay's identity. NORTH BAY GROWN Kelley Rajala, right, cofounded North Bay Made and also runs a farm with husband Eric Rajala. Last year, Sonoma County's GoLocal Cooperative, a network of local businesses, residents and nonprofits that support local, sustainably minded businesses, produced $5.6 million in sales through its rewards card program. That generated an estimated $2 million for the North Bay's economy. Two years ago farmer Kelley Rajala and weaver Pam Dale founded a different local business group called North Bay Made. The membership-based group is helping to unify small North Bay businesses by acting as their sales and marketing team. With more than 50 makers and markets in its portfolio, the group is really a force of private-sector economic development. But instead of trying to attract new business to the North Bay, North Bay Made is cultivating homegrown makers in the North Bay and stoking the benefits of a homegrown economy. There's something very wrong about throwing your leg over a vintage motorcycle while wearing a pair of Dockers. It's not only fashion suicide, it's not smart. Riding a bike requires a heavy-duty pair of trousers built to withstand hot tailpipes, flying gravel and high-speed asphalt encounters. "There wasn't anything out there," says co-founder Bencivenga. His wife, Jennifer Klein, is the other founder. "That was the inspiration for Clutch Monkey. There was an unmet need." Clutch Monkey makes burly, selvedge denim jeans and vests for bikers and those who appreciate bulletproof denim. Selvedge is heavy, stiff (at first) denim made on shuttle looms that fell out of favor when denim went mainstream in the 1950s. Newer projectile looms make more denim faster and cheaper, but it's not as durable as selvedge. Selvedge is made in tightly woven strips of heavy fabric and finished with bands down each side that prevent fraying and unraveling. Turns out there is only one mill in the United States that makes selvedge to Clutch Monkey's standards: North Carolina's Cone Mills. Clutch Monkey also sources its selvedge from Japanese mills that use retooled Draper and Toyota looms. "The Japanese put out the best selvedge on the planet," says Bencivenga. As a revival product, selvedge is often expensive, but Clutch Monkey sells most of its goods via crowdfunding campaigns and so can offer it at near wholesale prices, because a production run only begins with cash from backers on hand. No marketing required, although Clutch Monkey leans heavily on Facebook and Instagram. "All the marketing comes to us in real dollars," says Bencivenga. "People pay for what they believe in." If you want to handle a pair of Clutch Monkey jeans or a vest for yourself, get on your bad motor scooter and ride to the newly opened Soul Riders in Santa Rosa (404 Mendocino Ave., 707.978.3810), the company's only retail outlet. Opened by former Brotherhood skate shop owner Kurt Hurley, Soul Riders specializes in Southern California beach-culture ware in the form of surf, skate, hot rod fashions and reissues of classic skateboard decks along with a bin of vintage vinyl in the rear. Hurley is excited to carry Clutch Monkey denim as the one nod to the North Bay.